Medical Colleges TamilNadu are Classified into 3 categories: Deemed, Private & Government. There are 48 medical colleges which are highest in number as compared to any other state in India. Most of the colleges are private & deemed medical colleges in TamilNadu with few Govt. Medical Colleges. Private & Deemed medical colleges in TamilNadu also have seats for students outside the state looking to join MBBS, BDS, MD MS & MDS programs. With the increased interest of the students among medical stream, the number of medical colleges is increasing day by day and so does in Chennai, Tamil Nadu. There are many Deemed Medical Colleges in Tamil Nadu which are continuously providing best-skilled doctors every year. These colleges are serving its best for the undergraduate and the graduate students to become a skilled doctor. I am here with the detailed list of all the Medical Colleges of Chennai, Tamil Nadu so as to help aspiring students. 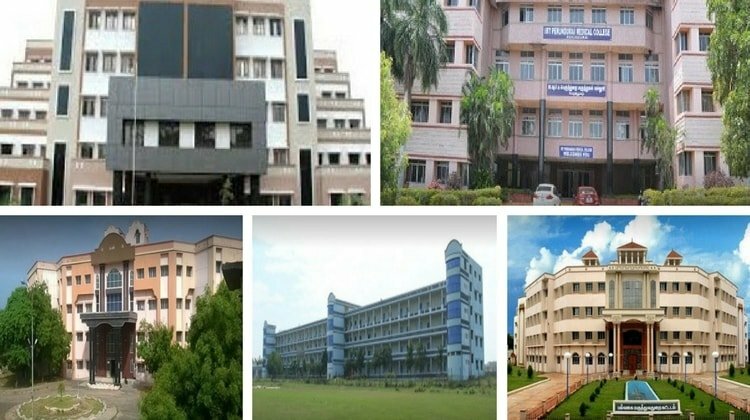 I have listed all the medical colleges in this article along with some important details, You can also visit the college website to know more about the colleges and admission procedure. The Christian Medical College was established in the year 1924 to train the dedicated persons so that they could better manage and provide health care in the spirit of Christ through missionary hospitals. Medical programs offered: – MBBS, B.Sc., BOT, BPT, BPO, Diploma courses etc. It is one of the oldest colleges of Chennai which was established on February 2, 1835, by Fredrick Adams. The college includes nine affiliated institutes along with hospitals which are well known for its excellent health care services. It is one of the most popular medical universities of Tamil Nadu which was established by Sri Ramachandra Educational and Health trust in the year 1985. The university offers 12 UG and 62 PG courses and also includes Super Specialties PG, one Doctoral and one certificate program. It is another one of the best state-owned medical colleges of Chennai which was established in the year 1938. The college includes about 1280 beds for treating indoor patients and also has a capacity of about 1500 students’ hostel capacity. The Coimbatore Medical College was established in the year 1966. It is situated in the western region of Tamil Nadu termed as the Manchester of the South. The college also offers various scholarship programs to the aspiring students. The College was established in the year 1985 by P.S. Govindaswamy Naidu & Son’s Charities. It is one of the finest and first teaching medical colleges of Tamil Nadu to get NABH accreditation. 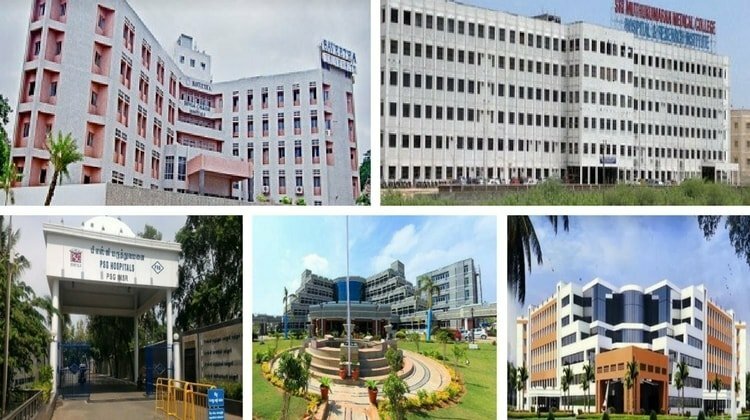 It is 810-bed hospitals which come up with various specialties such as Medicine, Surgery, Obstetrics & Gynecology, Dermatology, Psychiatry, Pediatrics, Orthopedics, Ophthalmology, Anesthesiology, Radiology and Emergency Medicine etc. Medical programs offered: – Medicine, Surgery, Obstetrics & Gynecology, Dermatology, Psychiatry, Pediatrics, Orthopedics, Ophthalmology, Anesthesiology, Radiology and Emergency Medicine. It is one of the oldest medical institutes in India whose main aim was to support the medical needs of aspiring India. The college provides the best exposure to the students with the all possible facilities so that they can better enhance their knowledge and skills. It is a territory government health care center which was established by Government of Tamil Nadu in the year 1965. The college includes a variety of teaching and learning techniques which also offers hostel facilities to the boys as well as girl students. It is one of the finest medical colleges in India whose main motive was to provide medical education to the aspiring students living in slums and rural areas. The formal Prime Minister Shri. Rajiv Gandhi had laid the foundation of the college which covers MBBS as well as MD courses to the students. Medical programs offered: – MBBS, MD, MS, M.Ch, B.Sc Nursing and other paramedical courses. The college was an initiation of the government of Tamil Nadu which was established in the year 1992. It was first established in order to fulfill the long desire of the workers or Transport Corporation so as to get specialized medical treatment to people in the area. It is a fully specialized hospital established in Erode which is successfully serving the people very efficiently. 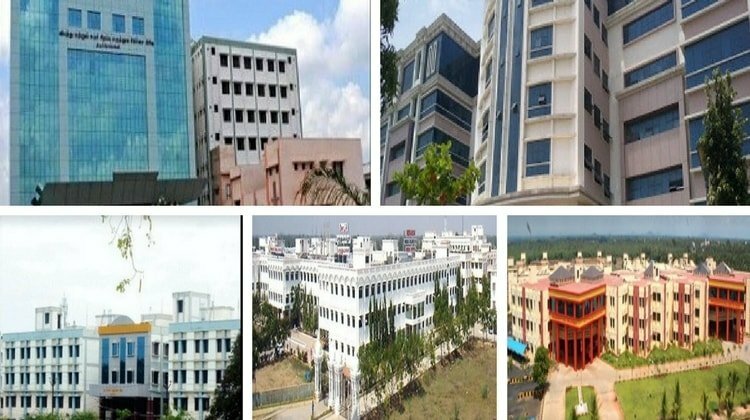 Sri Muthukumaran Medical College Hospital and Research Institute are one of the best self-financing medical colleges which were incepted to cater the needs of a premier institute in the region. It includes a wonderful infrastructure and state of the modern art facilities and was established in the year 2009. It is one of the leading government medical colleges which have one of the best renowned and prestigious doctors in the country. The hospital was initiated in the year 1960 as a co-educational system by the former government of Madras Acquiesce. It is one of the oldest and largest public residential universities in Asia which was established in the year 1929. The university includes 10 housing faculties and 49 departments of studies. It is one of the reputed universities in India which is successfully providing its best services to the students from the last few years. It is one of the Deemed Medical universities of Tamil Nadu which was established under Thirumuruga Kirupananda Variyar Sundara Medical Educational and Charitable Trust in the year 1981. The main motive of the initiation of this medical college was to provide best medical facilities and education to the desiring students. Dr. MGR University, Chennai is a state university of the Tamil Nadu State which was established in the year 1987 under Tamil Nadu Dr. MGR Medical University Act by the President of India. It offers undergraduate programs in medicine, dentistry, nursing, allied health professions and indigenous medicines etc. The medical college was set up in the year 1986 so as to serve the poor and low socioeconomic group of people. It is one of the topmost medical colleges of the regions which offer graduate as well as postgraduate courses to the aspiring students as well. It includes various skilled professionals from the field of the medicine and hence offers the best facility to the students to get professional practical experience. It is one of the best Deemed University of Chennai which was established in the year 2012 by the government of Tamil Nadu so as to offer best medical institute to the locality. This wonderful university was established by Government of India in the year 2005. The university is well known for providing quality medical and technical qualification to the desiring students at very reasonable price ranges. It is a UGC recognized university which is successfully serving the country from the last few years. Meenakshi Academy is actually a member of the Meenakshi group of institutions which was established in the year 2004 by the Ministry of Human Resource and Development under section 3 of the UGC Act 1956. Annapoorna medical college is one of the best medical colleges of Salem which is actually a part of VMRF Trust. It is an initiation of Dr. A. Shanmugasundaram which offers MBBS course the desiring students. It is one of the best colleges of medical studies by the government of Tamil Nadu which was successfully established in the year 2008. The main vision of the establishment of the college is to provide all the required facilities to the medical students so that they would become skilled and entitled doctors in future. It is a wonderful invitation by the government of Tamil Nadu which is actually a faculty of 600 beds casualty block and various other things. It is a well-established infrastructure along with well-established instruments. The college was actually founded in the year 2004. It is one of the best government medical colleges whose main aim is to disseminate and spread education in undergraduate medicines. The institute includes well-advanced technology with a variety of teaching methods so that to clear all the concepts of medical science to the aspiring students. It is one of the best medical colleges which were established at Ammapettai or Tiruporur, Guduvancherry. It is best learning place having multiple intelligences, embracing global trends and ideas. It is one of the best institutes where the students can easily meet their goals for their brighter future ahead. The College is best situated in the pearl city of Tamil Nadu whose main motive is to provide best-skilled doctors to the country. It was basically being established in the year 2000 by the Government of Tamil Nadu whose motto is “Born to serve”. It is a multi-specialty hospital which was recently in news for conducting various events such as National Conference on Obesity. It is another government deemed university established in the year 1997 by the Government of Tamil Nadu. It is one of the perfect places for acquiring knowledge and to promote the health of the needy people. The medical college well specializes in medical and health sciences along with the motto of serving people with socially meaningful medical education and healthcare. It is another governmental medical college by Tamil Nadu State Government which was established in the year 2013. It offers various medical courses such as MBBS, MS, MD courses to the undergraduate and the graduate students. This medical college is being established in order to provide skilled professional doctors to the country every year. It is a super specialty medical college and hospital which is actually a new turn to the healthcare industry. The hospital was established in the year 2010 so as to provide best healthcare medical facilities, to the students. It is the best healthcare which already has benefitted more than two lakh people from the last few years. It is another government medical college by Tamil Nadu State Government which was established in the year 2008. It offers various medical courses such as MBBS, MS, MD and various other courses to the undergraduate and the graduate students. This medical college is being established in order to provide skilled professional doctors to the country every year. 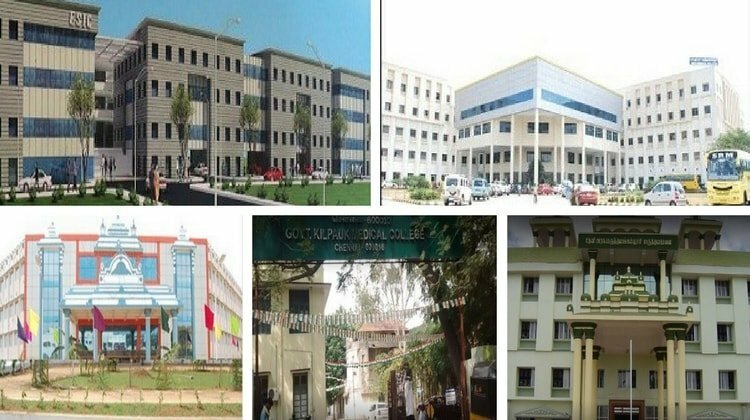 Tagore medical college and hospital is one of the finest medical colleges by Tamil Nadu State Government which was established in the year 2010. It offers various medical courses such as MBBS, MS, MD courses to the undergraduate and the graduate students. The college is continuously nourishing best doctors every year since the date of establishment. It is a fully features medical institute which offers best skilled and professional doctors every year. Sree Mookambika Institute of Medical Sciences, Kanyakumari is one of the best deemed medical colleges of Chennai which are well known for enriching the medicinal knowledge of a large number of students. It is another top most college of Chennai which was successfully established in the year 1965 by the Government of Tamil Nadu. It offers about 150 seats every year to the aspiring students every year. If you are looking for one of the established and popular medical colleges in Chennai; then SRM Medical College Chennai is one of the best colleges which offers best medicinal knowledge to the aspiring students. It is offering about 150 seats every year and hence has a great opportunity for the aspiring medical students. 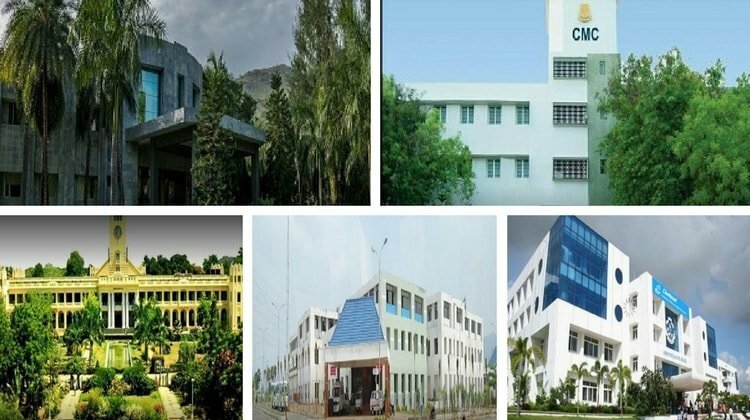 It is another topmost deemed medical colleges in Chennai established in the year 2009 which offers about 100 seats to the aspiring students every year. It is one of the most popular super specialty hospital established by Sri Devi Karumariamman Educational Trust in the year 2016. The hospital has earned a good name in the last two years and is offering about 140 seats every year. This medical college was a wonderful initiation by the Government of Tamil Nadu which includes latest tools and techniques to keep their students updated with the latest technology. It is one of the topmost universities of Tamil Nadu which was established in the year 2013. The main motive of the initiation of this medical college was to provide best medical facilities and education to the desiring students. It is one of the well established medical colleges of Chennai which is offering about 150 seats to the deserving every year. The college is affiliated to Dr. Mgr Medical University, Chennai. It is another most popular medical institution of Chennai which offers about 100 seats to the aspiring students every year. It is a governmental organization which was established in the year 2010. This was another wonderful initiation by the state government to boost up the aspiring medical students. It is one of the oldest deemed medical colleges of Tamil Nadu which is offering about 100 seats to the aspiring students every year. The deemed medical college is a multispecialty hospital with all modern tools and techniques to aspire the emerging doctors. It is recognized deemed medical institution which as established its name in the list of one of the best medical institutions over a very short passage of time. If you are searching for one of the best medical colleges for boosting up your carrier; then it is one of the best institutions you can go along with. Last but not the least; Karpagam Faculty of Medical Sciences & Research, Coimbatore is another deemed medical college of Chennai which has got its recognition last year. As per latest MCI records, all Medical Colleges in Tamil Nadu are listed here, to join these colleges for MBBS, MD MS NEET entrance exams are the only way which can help you get a seat in any of the colleges listed here. For MBBS Admission in Tamilnadu NEET UG Entrance eligibility is must as well as for MD MS admission in Tamil Nadu NEET PG eligibility is compulsory. To know more about the admission procedure subscribe for Direct Admission Email Newsletter or Contact us for admission assistance. Also if you like the article please share on any of the social medical channels. Looking for MBBS admission on Self-financed Medical Colleges. For Self-financed private & deemed medical apply for counseling. Can students of other states other get admission in private medical colleges in Tamilnadu? Seeking admission for Mbbs in self-financed colleges. Neet passed can I get counseling? How to apply for B.SC. Anesthesia technology in private medical colleges? Contact here for Direct admission in Paramedical courses. I have got 442 marks in the NEET exam. Do I have a chance for admission to MBBS course in tamil Nadu. Please let me know the process if I have a chance. I am a general category student from haryana. Registration for Tamil Nadu State Quota Counseling is over.